The Spectacle Collection optical dispensary is dedicated to providing convenient, state of the art service, and quality eyewear. Our opticians are trained to help you choose a frame that is flattering and fits your lifestyle and expectations. The Spectacle Collection offers hundreds of stylish frames that reflect the latest fashion trends from designer lines. 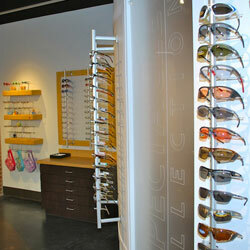 The Spectacle Collection also offers complete lines of quality frames that are stylish for the budget conscious. In addition, we have eyewear that is task specific and will make your job or sport seem easier and more enjoyable.